Of the 50 million Americans living with chronic pain, the pain is so bad for 20 million that it keeps them from doing the daily activities of life, researchers say. According to a report from the U.S. Centers for Disease Control and Prevention, chronic pain and high-impact chronic pain are more common among women, older adults, the poor, people previously employed, those with public health insurance or living in rural areas.Not only is chronic pain widespread, it lies at the root of the opioid epidemic. A study in 2016 was done to analyze the factors which are barriers to patients’ utilization of non-medication therapeutic approaches to chronic pain. This study found that Patients on long-term opioid therapy report using multiple types of pain treatments. High rates of complementary and alternative medicines (CAM) use were impacted by the limited evidence of efficacy for some therapies and the low-income status of most people with chronic non-cancer pain. Financial and insurance barriers highlighted the importance of considering how different types of treatments are paid for and subsidized (Nielsen, et al., 2016). The use of alternative or non-medication solutions to chronic pain must always include in their consideration how the costs of such services will be handled by the target patients. In talking about pain management, it is important for those who work with these patients to remember providing support in relation to the diagnostic label rather than to individual patient experiences; ‘pain as pathology’ rather than ‘pain in the patient’ does not always help the patients in pain (Sanders, Ong, Roberts & Corbett, 2015). It is important that in helping patients with pain that we focus on them since pain does alter their definition and understanding of themselves. When patients were asked about their experience in the VA and their opinions about which therapies would most benefit other Veterans. Participants reported that massage was well-received and resulted in decreased pain, increased mobility, and decreased opioid use but there were factors which often impeded their ability to acquire such services such as high ration of patients to complementary and integrative health(CIH) providers, difficulty of ability of receiving CIH from fee-based CIH providers outside of the VA, cost issues (Fletcher, Mitchinson, Trumble, Hinshaw & Dusek, 2016). The cost of CIH in the community is an important factor which must be closely watched in helping patients to acquire non-medication approached to chronic pain. In 2008, 83 studies were included, comprising the following subjects: exercise therapy back schools, TENS, low-level laser therapy, massage, behavioral treatment, patient education, traction, and multidisciplinary treatment. This review showed that behavioral therapy had an effect on pain intensity. This is apparent because the aim of behavioral therapy is not to treat pain, but to modify one of the three response systems (behavioral, cognition, and physiological reactivity). This study concluded that decrease in pain intensity might be related to the combination of different treatment strategies applied in a great number of the included studies (van Middelkoop, et al, 2011). It has been found that use of exercises only is noninvasive, non-pharmaceutical and an effective method to reduce knee pain in patients with knee osteoarthritis (Jaskiran, Anil & Chandanpreet, 2015). A systematic meta-analysis of 42 studies in behavioral non-medication intervention (Including Mindfulness-Based Stress Reduction (MBSR) Cognitive Behavioral Therapy and Acceptance and Commitment Therapy) with patients with chronic low back pain (LBP), it was found that behavioral therapy approaches are: 1. Effective particularly in altering pain perception and helping patients to regain their functionality. 2. Treatment outcomes can be improved if the treatments are personalized to individual patients’ needs. 3. Multidisciplinary rehabilitation needs to include more than just physical treatment. A team approach accounting for several aspects within the bio-psychosocial model is more likely to help individuals with chronic LBP compared to standard care alone (Vitoula, et al. 2017). An innovative approach to help patients deal with delayed-onset muscle soreness (DOMS) The use of herbs in DOMS seems safer and has lower side effects than pharmacotherapy (Meamarbashi, 2017). Training of patients in self-care including: eating healthy nutritionally balanced meals, participating in a detailed exercise program including aerobic and stretching routines, and maintaining a healthy regimen of 7-8 hours of sleep nightly. Specialized movement programming be it yoga, tai chi or specific stretching and strength exercise modalities coached by a trained professional. Individual or roup Psychotherapy using a Mindfulness based program such as MBSR, MBCBT and MACT. Specialized complementary modalities such as massage, physical therapy or other osteopathic or chiropractic manipulative treatments. Evidence show that patients will be more successful in efforts to help them manage their chronic pain without medications if they have a positive expectation about the program of non-medication they will be going through and if they have a clear understanding of the potential length of time their treatment will take. To assist patients to have more positive expectations about their non-medication treatment for chronic pain it is important that they be provided psycho-education about the research support for the use of the interventions to be used and that the costs of such interventions are either supported by their insurance health plans or are at a reasonable enough cost not to put a strain on their personal finances. The anticipated models for non-medication treatment of chronic pain must have Mindfulness at its foundation and that all professionals involved on the treatment team are supportive, informed and collaborate with the patients in the use of mindfulness in their respective portion of their planned treatment for the patients. Jaskiran, K., Anil, K. & Chandanpreet, K. (2015). 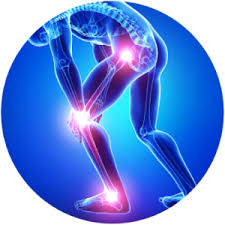 Effectiveness of exercises therapy on pain among patients with knee osteoarthritis. Baba Farid University Nursing Journal,8(1), 34-37. Lemmon, R. & Hampton, A. (2018). Nonpharmacologic treatment of chronic pain: What works? The Journal of Family Practice, 67(8), 474-483. Meamarbashi, A. (2017). Herbs and natural supplements in the prevention and treatment of delayed-onset muscle soreness. Avicenna Journal of Phytomedicine (AJP), 7(1), 16-26. There has been a movement to combine Mindfulness not only with Stress Reduction for treating pain but also to combine Mindfulness with both Acceptance and Commitment Therapy (ACT) and Existential Therapy to better focus patient with pain on personal empowerment in the face of unpleasant aspects of the human condition (Harris, 2013). Again, Acceptance and Commitment Therapy (ACT) and Mindfulness were presented as an ideal model for treating chronic pain (McCarcken & Vowles, 2014). Strong encouragement has been made to utilize Mindfulness-Based Stress Reduction (MBSR) with patients with chronic pain because it focuses not only on the mind but also the body, it has the potential to address some of the psychosocial factors that are important predictors of poor outcomes (Cherkin, et al., 2014). Also, MBSR was found to contribute positively to pain management by lowering anxiety and depression, feelings of controlling pain and acceptance of higher pain which are important dimensions in patients with long-lasting chronic pain (la Cour & Petersen, 2015). MBSR was also found that patients revealed significant and clinically relevant improvements in level of pain disability, psychological distress, engagement in life activities, willingness to experience pain and subjective ratings of their current pain (Beaulac & Bailly, 2015). Use of MBSR with women with chronic pelvic pain has shown promise in pain reduction (Crisp, Hastings-Tolsma & Jonscher, 2016). Use of MBSR with chronic low pain demonstrated through the measurement of increase in quality of life and decrease in pain severity (Ardito, et al., 2017). MBSR was used with patients with painful diabetic peripheral neuropathy resulting in reduced pain intensity, pain catastrophizing, depression, perceived stress and improved health related quality of life (Nathan, et al.,2017). 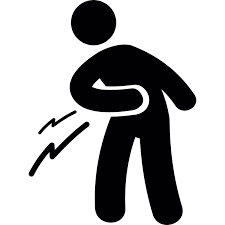 In treating Irritable bowel syndrome (IBS) characterized by abdominal pain and hypervigilance to gastrointestinal sensations Mindfulness Treatment appeared to target and ameliorate the underlying pathogenic mechanisms of IBS (Garland, et al, 2012). Mindfulness-Based Cognitive Therapy (MBCT) and Second Generation Mindfulness Based Intervention (SG-MBI) were both found to reduce the impact of fibromyalgia, its depressive symptoms and intensity of pain (Parra-Delgado & Latorre-Postigo, 2013; Van Gorden, Shonin, Dunn, Garcia-Campayo & Griffiths, 2017). Participants with chronic pain in a Mindfulness-Oriented Recovery Enhancement (MORE) 8-week program were found after a three month follow up study to have improvement in general activity level and walking ability (Garland, Thomas & Howard, 2014). In working with patients with chronic pain who are opioid seeking would benefit from the MORE process through its cognitive training regimens centered on strengthening attention to natural rewards may remediate reward processing deficits underpinning addictive behavior (Garland, Froeliger & Howard, 2015). In a systematic review of 23 studies using MBSR and MBCT There was found improved depressive symptoms, anxiety, stress, quality of life and physical functioning. The evidence supports the use of MBSR and MBCT to alleviate symptoms, both mental and physical, in the adjunct treatment of cancer, cardiovascular disease, chronic pain, depression, anxiety disorders and in prevention in healthy adults and children (Gotink, et al., 2015). Pain catastrophizing and psychological distress were identified as individual mediators of the relationship between mindfulness and depressive symptoms for people with chronic pain thus supporting the inclusion of the use of mindfulness based cognitive interventions with these individual (Brooks, et al., 2018). A Web-based Mindfulness 8-week training program on pain intensity, pain acceptance and life satisfaction was demonstrated as being reasonably successful and open for future research and replication (Henriksson, Wasara & Ronnlund, 2016). Counseling which is mindfulness based be provided individually or in group to address the cognitive, emotional and behavioral coping with pain but also to address specifically the lessening of catastrophizing, stress, depression, anxiety and any other psychological distress and increase in self-esteem, and quality of life. That MBSR, MBCT, MBACT treatment modalities be the psychotherapeutic treatments used with these patients with chronic pain due to their receiving the strongest research support for their effectiveness. That the psychotherapeutic mindfulness models can be time limited, not just provided soley in person individually and in group but also supported by the use of Apps, Podcasts, Videos and Web-based programming. Brooks, J.M. Blake, J., Iwanaga, K., Chin, C., Colton, B.P., Morrison, B., Deiches, J. & Chan, F. (2018). Perceived mindfulness and depressive symptoms among people with chronic pain. Journal of Rehabilitation 84 (2), 33-39. Brown, A. & Becerra, R. (2017). Mindfulness for neuropathic pain: A case study. International Journal of Psychology and Psychological Therapy, 17(1)19-37. Chiesa, A. & Serreti, A. (2011). Mindfulness-based interventions for chronic pain: A systematic review of the evidence. The Journal of Alternative and Complementary Medicine, 17(1), 83-89. Crisp, C.D., Hastings-Tolsma, M. & Jonscher, K.R. (2016). Mindfulness-based stress reduction for military women with chronic pelvic pain: A feasibility study. Military Medicine, 181(9), 982-989. Garland, E.L, Thomas, E. & Howard, M.O. (2014). Mindfulness-oriented recovery enhancement ameliorates the impact of pain on self-reported psychological and physical function among opioid-using Chronic pain patients. Journal of Pain and Symptom Management 48(6) 1091-1098. La Cour, P. & Petersen, M. (2015). Effects of mindfulness meditation on chronic pain: A randomized controlled trial, Pain Medicine, 16. 641-652. Boylan (2005) was one of the first researchers to report that soft tissue massage may be of clinical assistance to patients with shoulder pain, especially for patients awaiting additional treatment. In 2011 a study demonstrated that patients who received exercise only or exercise with transverse friction massage (TFM) prior to exercise and the TFM group improved best in terms of pain/function (Blackwood & Ghazi, 2012). Functional Massage (FM) is a therapeutic technique that incorporates joint motion with massage to treat musculotendinous pain and impairments was found to reduce the report of pain and increase the range of motion for patients (Sobeck, et al., 2016). After reviewing 20 studies of the use of soft tissue massage and exercise in the treatment of non-specific shoulder pain it was found that there is low-quality evidence that soft tissue massage is effective for improving pain, function and range of motion in patients with shoulder pain in the short term. Exercise therapy was found to be effective for producing small improvements in pain but not in function or range of motion (van den Dolder, Ferreira & Refshauge, 2014). In a live trial the findings from their 2014 report found that the addition of soft tissue massage to an exercise program for the shoulder conferred no additional benefit for improving pain, disability, or range of motion in people with nonspecific shoulder pain (van den Dolder, Ferreira & Refshauge, 2015). A meta-analysis of twelve research studies on Massage Therapy (MT) for neck and shoulder pain were performed. The findings were that MT provides immediate effects for neck and shoulder pain. However, MT did not show better effects on pain than other active therapies. Nor did evidence suggest that MT was effective in improving functional status (Kong, et al. 2013). In 2014 researchers found that patients seeking massage for chronic neck pain are more likely to benefit if they have multiple 60-minute treatments per week (Sherman, et al, 2014). Research has shown that massage in treating neck pain is effective, efficient, and safe (Skillgate, Bill, Cote, Viklund, Peterson & Holm, 2015). Effective massage treatment with progressive sessions which allow the client to practice self-help exercises or other home treatments (ice or hot/cold contrast) that Help expedite recovery for neck pain helps return clients to a more active, pain free lifestyle (Kousaleos, 2015). Patients with spinal cord injuries during their acute rehabilitation were either given broad compression massage (BCM) and a control light contact touch (LCT) treatment and it was found that BCM was safe and well tolerated and ought to continue to be utilized (Chase, Jha, Brooks & Allshouse, 2013). Patients experiencing generalize physical pain while in hospital received massage and indicated satisfaction with their treatment and experienced a reduction in pain intensity, a significant increase in daily function and reduction in anxiety (McMillan, Glaser & Radovich, 2018). Research in to manual therapy as spinal manipulation, spinal mobilization, stretching and massage are common treatment methods for neck and back pain found that they were effective in reducing the pain in the patients followed in a one year follow-up study (Paanalahti, et al., 2016). Both Deep Tissue Massage (DTM) and Therapeutic Massage (TM) were found to provide to provide clinical benefits to individuals with chronic back pain (Romanowski, 2017). Massage as the sole treatment for chronic pain is not research supported, however it is greatly supported to be part of a comprehensive multidisciplinary approach of non-medication treatment for chronic pain. Blackwood, J. & Ghazi, F. (2012). Can the addition of transverse friction massage to an exercise programme in treatment of infrapatellar tendinopathy reduce pain and function? A pilot study. International Musculoskeletal Medicine, 34(3). 108-114. Boylan, M. (2005). Soft tissue massage improves range of motion, function and pain in shoulder pain. Journal of Australian Traditional Medical Society11(4), 177-178. Chase, T., Jha, A., Brooks, C.A. & Allshouse, A. (2013) A pilot feasibility study of massage to reduce pain in people with spinal cord injury during acute rehabilitation. Spinal Cord, 51,847-851. Kousaleos, G.P. (2015). Neck pain and treatment strategies. Journal of the Australian Traditional-Medicine Society, 21(1), 16-21. McMillan, K., Glaser, D. & Radovich, P. (2018). The effect of massage on pain and anxiety in hospitalized patients: An observational study. MEDSURG Nursing, 27(1), 14-18. Sejari, N., Kamaruddin, K., Al-Warafi Y.M.A. & Ming, L.C. (2014). A narrative review of massage and spinal manipulation in the treatment of low back pain. Archives of Pharmacy Practice, 5(4), 139-143.
van den Dolder, P.A., Ferreira, P.H. & Refshauge, K.M. (2015). Effectiveness of soft tissue massage for nonspecific shoulder pain: Randomized controlled Trial. Physical Therapy, 95(11), 1467-1477. A study demonstrated that a 9-week yoga intervention improved pain and neck-related disability for at least 12 months after completion and that sustained yoga practice seems to be the most important predictor of long-term effectiveness (Cramer, Lauche, Hohmann, Langhorst & Dobos, 2013). Another study found that yoga and relaxation techniques are a better and beneficial therapy in the treatment of pain and stiffness of the neck region (Satyanand, et al., 2015). Yoga twice a week was found to reduce absenteeism for those with non-specific back pain and neck pain (Bramberg, Bergstrom, Jensen, Hagberg & Kwak, 2017). A study on the impact of yoga on non-specific low back pain (nsLBP) and sciatica found that yoga therapy can be safe and beneficial for patients with nsLBP or sciatica, accompanied by disc extrusions and bulges (Monro, Bhardwaj, Gupta, Telles, Allen & Little, 2015). Yoga has be identified as an effective treatment for Veterans with chronic low back pain and psychological comorbidities (Saper, et al., 2017). Yoga and walking when used with patients with Irritable bowel syndrome (IBS) as movement-based self-regulatory behavioral treatments have some differential and beneficial effects but maintenance of a self-regulated walking program may be more feasible and therefore more effective in the long term (Shahabi, Naliboff & Shapiro, 2016). A study found that yoga-based intervention can be one of the non-pharmacological treatment options in somatoform disorders (Sutar, Yadav & Desai, 2016), Yoga twice a week was found to assist trainees to focus on their specific professional training with no concern for musculoskeletal pain (Monson, Chismark, Cooper & Krenik-Matejcek, 2017). Yoga practice was associated with a reduction in levels of chronic pelvic pain and an improvement in Quality of Life in women with endometriosis (Goncalves, Barros & Behamondes, 2017). Yoga as the sole treatment for chronic pain is not research supported, however it is greatly supported to be part of a comprehensive multidisciplinary approach of non-medication treatment for chronic pain. 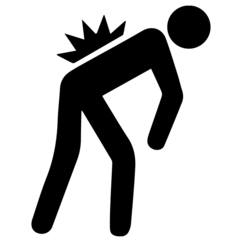 Cramer, H., Lauche, R., Hohmann, C., Langhorst, J. & Dobos, G. (2013) Yoga for chronic neck pain: A 12-month follow-up. Pain Medicine, 14, 541-548. Monson, A.L., Chismark, A.M., Cooper, B.R. & Krenik-Matejced, T.M, (2017). Effects of yoga on musculoskeletal pain. The Journal of Dental Hygiene, 91(2), 15-21. Satyanand, V., Gopalakrishnaiah, T., Pannerselvam, E., Mahaboobvali, S. Bashs, S.A, & Sarala, V. (2015). Effects of yogasanas on cervical spondylosis. International Archives of Integrated Medicine, 2(7) 6-10. First: It is important that you ask for a release of information so that you can read their medical records and understand better what are the sources of pain and what has been attempted previously to help relieve their pain. Second: If the clients have been to other professionals to address their pain issues then you need releases of information so that you can get reports on their treatment and progress of these clients in working with them. Third: Before developing a plan for your clients you must be sure to do a complete Initial Clinical Assessment (http://coping.us/cliniciantreatmenttools/clinicalassessmentplan.html) which includes exploration of ACE Factors (http://coping.us/cliniciantreatmenttools/acefactors.html) and history of any other major medical, social or interpersonal traumatic events which might account for the severity and duration of their chronic pain. Fourth: It is important once the initial assessment is completed that you then utilize Motivational Interviewing Strategies (http://coping.us/motivationalinterviewing.html) to determine if the clients are actually ready to do the work necessary to accept their pain as a reality of life, to work seriously at following through with the steps being outlined for them to pursue to lessen the impact of pain in their lives. 1. Self-care goals: Healthy diet, Healthy 7-8 hours of sleep each night, Use of Mindfulness Meditation to lessen daily stress (http://coping.us/mindfulnessneurobiology/stressmanagement.html ) to stay centered and focused and to be at ease and relaxed to fall asleep easily each night (http://coping.us/mindfulnessneurobiology/improveyoursleep.html). 3. Mind-body treatment (e.g. Mindfulness-Base Stress Reduction (MBSR) or Mindfulness-Based Cognitive Behavioral Therapy (MBCBT) in group therapy and if needed in individual sessions as well. Sixth: If the clients accept the proposed model of non-medication treatment of their chronic pain then have them take the modified EXPECT Questionnaire (Jones, et al., 2016) to determine their level of motivation and belief that the proposed intervention program will have successful outcome in helping them cope with their chronic pain. I am now going to ask you a series of questions about the effects that the above treatment plan presented to you may have on your chronic pain and on how chronic pain impacts your life. In each case, the question is asking about the results at the end of the treatment period. The next set of questions asks about areas of your life such as sleep, mood, and energy. If any of these questions are not relevant for you because your pain does not impact that area of your life, please answer Not Applicable. The next question is about your expectations about coping with your pain. 11. How much change do you realistically expect in the impact of your pain on your work, including housework? Please answer on a scale of 0 to 10, where 0 is “no change or worse” and 10 is “pain no longer impacts my work,” including housework. Or you may choose “not applicable” if your pain does not impact your work/housework now. 12. How much change do you realistically expect in the impact of your pain on your social and recreational activities? Please answer on a scale of 0 to 10, where 0 is “no change or worse” and 10 is “pain no longer impacts my social and recreational activities.” Or you may choose “not applicable” if your pain does not impact your social and recreational activities now. 13. How much change do you realistically expect in the impact of your pain on your daily activities? Please answer on a scale of 0 to 10, where 0 is “no change or worse” and 10 is “pain no longer impacts my daily activities.” Or you may choose “not applicable” if your pain does not impact your daily activities now. Seventh: Enroll your Chronic Pain Management clients in either MBSR or MBCBT in your office either in a group and/or individually. Keep up on the progress of your clients’ diet management, exercise schedule, sleep record and participation in any other complementary modalities. Send weekly progress reports to your clients' primary care physicians during the entire course of their treatment plan with you. Eighth: Once the proposed length of time of treatment approaches have the clients give their evaluation of their progress and come to an agreement when their formal sessions with you in your office would end. Chronic pain is complex. Research over the past 25 years has shown that pain is influenced by emotional and social factors. 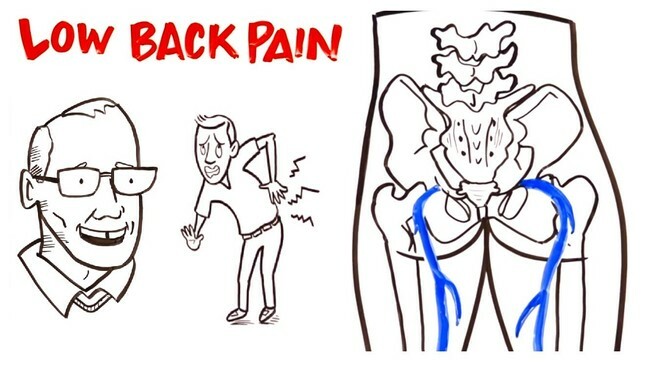 These need to be addressed along with the physical causes of pain. Chronic stress is one factor that contributes to chronic pain. The good news is that you can get natural pain relief by making relaxation exercises a part of your pain-management plan. To understand how natural pain relief works, it's important to understand how stress affects your body. Pain and stress have a similar effect on the body: your heart rate and blood pressure rise, breathing becomes fast and shallow, and your muscles tighten. You can actually feel your body's response when you're faced with a sudden, stressful event, such as fearing that a car is about to hit you. The car misses you and, in time, your system returns to normal. You relax. With chronic stress, such as worrying about health or finances, feeling stuck in a bad job or marriage, or fearing that something bad will happen, the nervous system keeps the body on alert. This takes a big toll on your body. Levels of stress hormones increase, and muscles remain in a nearly constant state of tension. Here's just one example: Studies that measure site-specific muscle tension in patients with chronic back pain have shown that simply thinking or talking about a stressful event dramatically increases tension in back muscles. Relaxation exercises calm your mind, reduce stress hormones in your blood, relax your muscles, and elevate your sense of well-being. Using them regularly can lead to long-term changes in your body to counteract the harmful effects of stress. Foursquare breathing. Breathe deeply, so that your abdomen expands and contracts like a balloon with each breath. Inhale to a count of four, hold for a count of four, exhale to a count of four, then hold to a count of four. Repeat for ten cycles. Guided imagery. Breathe slowly and deeply. For example, imagine a tranquil scene in which you feel comfortable, safe, and relaxed. Include colors, sounds, smells, and your feelings. Do five to ten minutes each day. Self-talk. Change how you think about your pain and yourself. For example, change "Pain prevents me from keeping house the way I used to -- I'm a failure" to "No one will die if the house isn't perfect. I can get a lot done by breaking down tasks into baby steps." Hypnosis. Hypnotherapists can induce hypnosis and implant suggestions, such as, "You're going to sleep soundly tonight." Audiotape the session so that you can repeat it at home. Mindfulness meditation. Sit or lie quietly and notice your breathing without controlling it. If pain or thoughts interfere, simply notice them without trying to push them away. Think of them as a cloud passing over; then return to observing your breath. Do this for about 20 minutes. Deep breathing and meditation are techniques that help your body relax, which may ease pain. Tension and tightness seep from muscles as they receive a quiet message to relax. Although there are many ways to meditate, the soothing power of repetition is at the heart of some forms of meditation. Focusing on the breath, ignoring thoughts, and repeating a word or phrase -- a mantra -- causes the body to relax. While you can learn meditation on your own, it helps to take a class. Deep breathing is also a relaxation technique. Find a quiet location, a comfortable body position, and block out distracting thoughts. Then, imagine a spot just below your navel. Breathe into that spot, filling your abdomen with air. Let the air fill you from the abdomen up, then let it out, like deflating a balloon. Negative feelings like depression, anxiety, stress, and anger can increase the body's sensitivity to pain. By learning to take control of stress, you may find some relief from chronic pain. Several techniques can help reduce stress and promote relaxation. Listening to soothing, calming music can lift your mood -- and make living with chronic pain more bearable. There are even specially designed relaxation tapes or CDs for this. Mental imagery relaxation (also called guided imagery) is a form of mental escape that can help you feel peaceful. It involves creating calming, peaceful images in your mind. Progressive muscle relaxation is another technique that promotes relaxation. Pain makes sleep difficult, and alcohol can make sleep problemsworse. If you're living with chronic pain, drinking less or no alcohol can improve your quality of life. When you're with people who have chronic pain and understand what you're going through, you feel less alone. You also benefit from their wisdom in coping with the pain. Also, consider meeting with a mental health professional. Anyone can develop depression if he or she is living with chronic pain. Getting counseling can help you learn to cope better and help you avoid negative thoughts that make pain worse -- so you have a healthier attitude. Asking for help is a sign of strength, not weakness. Through biofeedback, it's possible to consciously control various body functions. It may sound like science fiction, but there is good evidence that biofeedback works -- and it's not hard to master. Here's how it works: You wear sensors that let you "hear" or "see" certain bodily functions like pulse, digestion, body temperature, and muscle tension. The squiggly lines and/or beeps on the attached monitors reflect what's going on inside your body. Then you learn to control those squiggles and beeps. After a few sessions, your mind has trained your biological system to learn the skills. Some medications used to treat pain can be addictive. Addiction is different from physical dependence or tolerance, however. In cases of physical dependence, withdrawal symptoms occur when a substance suddenly is stopped. Tolerance occurs when the initial dose of a substance loses its effectiveness over time. Addiction is a psychological and behavioral response that develops in some people with the use of narcotic pain medicines. People who take a class of drugs called opioids for a long period of time may develop tolerance and even physical dependence. This does not mean, however, that a person is addicted. In general, addiction occurs in only a small percentage of people when narcotics are used under proper medical supervision. Most people who take their pain medicine as directed by their doctor do not become addicted, even if they take the medicine for a long time. However, some people may be at a higher risk of becoming addicted than others. People who have been addicted to substances in the past or those with a family member who is or has been addicted to drugs or alcohol may be at increased risk of becoming addicted to narcotics. The key to avoiding addiction is to take your medicine exactly as your doctor prescribes. Share with your doctor any personal and/or family history of substance abuse or addiction. Your doctor needs this information to prescribe the medicines that will work best for you. Fears about addiction should not prevent you from using narcotics to effectively relieve your pain. Remember, it is common for people to develop a tolerance to their pain medication and to need higher doses to achieve the same level of pain relief. Such a situation is normal and is not a sign of addiction. However, you should talk to your doctor if this effect becomes troubling. Chronic pain is a pain lasting beyond six months secondary to a condition affecting either a specific part of the body or the whole body. The standard modalities of treatment such as rest, medications and surgery do not provide adequate benefit for patients with chronic pain. 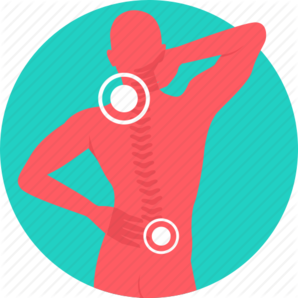 Persistent chronic pain can result in narcotic dependence, insomnia, sexual dysfunction, physical weakness, mood disturbance, and depression. This condition is known as chronic pain syndrome. 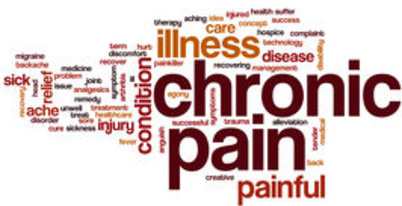 In certain cases, chronic pain syndrome may progress to a more severe condition known as catastrophic chronic pain syndrome (CCPS). Hyperalgesia is a condition characterized by increased sensitivity to the pain that can be secondary to chronic pain syndromes or drugs such as narcotics and benzodiazepines. Complex regional pain syndrome (CRPS). Adopt a biopsychosocial model of patient care: After chronic pain syndrome or CCPS is diagnosed, a special pain management team is organized comprised of doctors and therapists with good communication skills to ensure a rapid and precise treatment. The team is usually specialized in gym and aquatic exercise, stress management, diet, substance dependence, medical detoxification, cognitive therapy, psychotherapy, massage, family therapy and other relevant specialties. This approach is also known as pain rehabilitation. Prevent worsening of the condition: In cases of CCPS standard pharmacologic agents are not very effective. Long-term use of narcotic therapy can cause opioid-induced hyperalgesia, addiction, constipation, sleep disorders, and a decrease in testosterone levels. Therefore, in these patients opioid and benzodiazepine detoxification may be recommended. In contrast to normal pain treatment, excessive rest can result in muscular atrophy and weight gain in patients with CCPS. Therefore, physical therapy or regular exercise is recommended in these patients. Medical and psychological history of the patient: Prior to initiation of treatment, a complete medical history of the patient including history of childhood abuse, addiction, previous injuries, and details of any previous therapies with medical records should be obtained. Along with this a psychological history including family expectations, work expectations, and any other data essential for psychotherapy should be obtained. Treat the syndrome: In pain rehabilitation, the underlying condition is treated rather than treating only the pain. Improvement in symptoms helps the patient to learn self-management of daily activities, stress, catastrophic thinking and also helps in opioid detoxification. Pain syndromes involve various factors that induce hyperalgesia that include excessive use of opioids, depression, cognitive distortions and inactivity. Therefore, narcotic detoxification, cognitive-behavioral therapy and exercise are an integral part of CCPS treatment. Pain rehabilitation includes various interventions such as muscle reactivation, physical therapy, biofeedback training, education classes, psychotherapy, nutritional instruction, family counseling, chemical detoxification and medical management intended to reduce pain and improve function in individuals suffering from chronic pain and other related conditions. Pain rehabilitation programs may last from 6 days to 6 weeks or longer, depending upon the condition of the patient. Primary care includes simple non-surgical interventions for the management of symptoms causing pain. This program may last for 6-8 weeks. Secondary rehabilitation is given to patients not responding to primary care; it requires a large team of doctors and therapists from different specialties and the treatment lasts for 4-6 months. Tertiary rehabilitation is given to patients with critical conditions; it employs advance facilities and focuses on the different aspects and requirements of the individual patient. 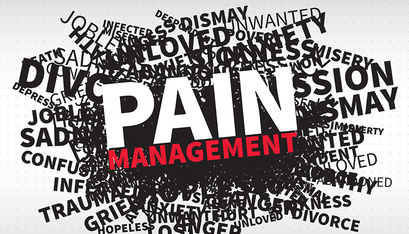 Pain rehabilitation is used for the management of patients suffering from chronic pain conditions. It is coordinated by a multidisciplinary team, with the objective to restore the physical and mental health of the patient and also to help the patients perform their daily routine activities without any pain or discomfort. Position: Lying on the back Lie on the back and keep the knees flexed. Keep the feet and palms flat on the floor. Tighten the abdominal muscle to maintain neutral position of the spine. This is the starting position for back exercises. Bridge-up. Lie on the back with knees bent. Keep the feet flat on the floor and arms at the sides. Now, gradually raise the hips little by little. Remember to raise the hips without arching the back. Tighten the stomach to avoid pushing out of the stomach which may tend to arch the back. Hold the position for 5 seconds. Afterwards, slowly come back to the starting position. Repeat the technique five times. The Bridge-up exercise helps to strengthen buttock muscles. Partial curl-up Lie on the back with flexed knees. Keep the feet flat on the floor and arms at the sides. Cross the arms loosely over the chest. Tighten the abdomen and curl halfway up. Keep the middle and lower back flat on the floor and raise the head and shoulders from the floor. Hold the position for a few seconds and then return to the relaxed position. Repeat the technique for five times. The partial curl-up exercise strengthens the abdominal muscles. Trunk rotation. Lie on the back and keep the knees bent. Keep both feet and shoulders flat on the floor. Gradually drop the knees to one side and turn the head in the opposite direction. Hold the position for 20 seconds and gradually come to the previous position. Repeat the technique three times. The trunk rotation exercise strengthens the lower back muscles. Press-up Lie on the floor facing down. Keep the feet slightly apart and forehead on the floor with arms bent at the elbow above the head. Push the body up on the forearms while keeping the neck straight. Lift the abdomen away from the floor. Hold for 20 seconds and slowly come back to the relaxed position. Repeat the exercise 3 to 5 times. The press up exercise strengthens the lower back muscles. Opposite arm and leg raise. Lie face down, forehead on the floor and keep the arms above the head without flexing the elbows and wrists. Slowly lift the arm and the opposite leg, and tighten the lower back and buttock muscles. Hold for 2 seconds and come back to the starting position. The technique is practiced with the other arm and its opposite leg as well. Repeat the procedure with each arm for 3 to 5 times. This exercise targets your core and lower back. Superman or swimming. Lie on the stomach, forehead on the floor and keep the arms above the head without bending the elbows and wrists. Gradually lift both arms and legs from the ground. Tighten the lower back and muscles of the buttocks. Hold the position for 2 seconds and come back to the starting position. Repeat the exercise for 10 times. This exercise also targets your lower back. Cat stretch. Keep the body in a crawling position. Evenly distribute the body weight on the hands and knees. Gradually tighten the abdominal and buttock muscles, and press the back upward. Let the head drop forward. Hold the position for five seconds. Now slowly relax the abdominal and buttock muscles, lift the head and bring back the spine to normal position. Once again tighten the muscles of the abdomen and buttock and press the back downwards. Move the head forward and upward. Hold the position for five seconds. Now slowly relax and come back to the normal position. Repeat the process 10 times. The Cat stretch exercise strengthens core and lower back muscles. Arm reach. Keep the body in crawling position and distribute the body weight evenly over the hands and knees. Raise one arm straight out in front. Do not raise head and do not allow the supporting shoulder to drop. Tighten the abdominal muscles to prevent sagging of the trunk. Hold the position for five seconds and lower the arm. Repeat the process 10 times and alternate using the opposite arm. This is a core strengthening exercise. Arm reach with leg reach. With the body in crawling position, raise one leg straight back and extend the opposite arm straight forward. Avoid arching the back, or sagging the head or body. Tighten the abdominal muscles and hold for five seconds. Repeat the process 10 times and alternate using the other leg and its opposite arm. This exercise targets the core and low back. Neck strengthening exercises. Neck strengthening exercises are a group of exercises that are designed to improve muscle strength, endurance, and flexibility of the neck muscles. These exercises improve posture, relieve chronic or recurrent neck pain and radiating pain from the upper back and help prevent problems related to spinal discs. Chin tuck. In a comfortable sitting or standing position, keep the back and neck straight and shoulders slightly back. 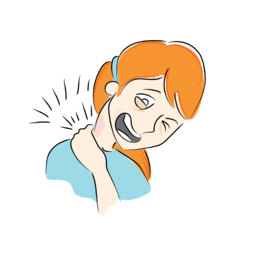 Slowly tuck the chin until a gentle stretch is felt over the cervical (neck) area. Keep the eyes and nose facing forward. Hold the position for 3 seconds. Repeat 10 times. Neck press In a comfortable sitting or standing position, keep the back and neck straight. Similarly, keep the eyes and nose straight in the forward position. Place the palm of the hand onto the forehead and press the palm against the forehead. Now push the forehead against the palm with the help of neck muscles. Hold the position for three seconds and repeat the technique for 10 times. Cup both palms and place at the back of the head. Now try to push the head forward with the palms and resist the movement by pressing the head back towards the palm with the help of neck muscles. Hold for three seconds and repeat for ten times. Place the hand at the side of the head. Slowly push the head with the palm while resisting the force by the head with the neck muscles. Hold the position for three seconds and repeat for ten times. Shoulder blade squeeze This exercise can be initiated either in a sitting or standing position. Keep the chin slightly tucked in, bend the shoulders slightly back and elbows forward. Gradually squeeze the shoulder blades together and raise the elbows or lower arms up. Press the shoulder blades down towards the mid back. Hold the position for three seconds and repeat for ten times. Neck pain is a common condition that affects most people at some point in their lives. The causes can be varied and can affect different structures in the neck. Neck pain can result from muscle strain due to poor posture and long work hours, osteoarthritis, which is wear and tear of the cartilage or discs in the joints, bony overgrowths or spurs, compression of spinal nerves, also called pinched nerves, neck fractures, slipped discs, whiplash, a forceful jerking of the neck causing soft tissue injury, and also from diseases such as meningitis, rheumatoid arthritis and cancer. sensory nerves that transfer sensations like cold, heat or pain to the brain. Peripheral neuropathy is a condition characterized by damaged nerves that cause pain. When this condition affects one nerve, it is called mononeuropathy; when several nerves are affected, it is polyneuropathy; and when 2 or more nerves are involved in different areas, it is termed as multiple mononeuropathy. Peripheral neuropathy is a comparatively common disease that usually affects older people. Diabetes is the most common cause of peripheral neuropathy. At least half of all diabetics develop some form of neuropathy during the course of the disease. Excessive alcohol intake, which leads to poor dietary choices. Autoimmune diseases like lupus and rheumatoid arthritis. Exposure to toxic substances like heavy metals and certain medications, like chemotherapy. Trauma or compression of the nerves. Tumor on or surrounding the nerves. Numbness and tingling sensation in the feet or hands that can slowly spread to the legs and arms. Burning or sharp electric pain. Sensitivity to touch or heat. Peripheral neuropathy involves the exact detection of nerve damage and its cause, which is difficult to diagnose. Your doctor will review your medical history and family history for neurological diseases and will conduct physical and neurological examinations for muscle strength, sensation, posture and coordination. Blood tests for vitamin, sugar and thyroid levels and liver and kidney function. Computed tomography (CT) scan or MRI to detect herniated disks or spinal tumors. Nerve function tests using electromyography to measure the electrical activity of the nerves. Nerve biopsy, in which a part of the damaged nerve is removed to test for abnormalities. Lumbar puncture to test cerebrospinal fluid in the lower back for signs of disease. Your doctor may prescribe pain killers, anti-seizure and antidepressant drugs, and topical medications. Neuromodulation such as Spinal cord stimulation or peripheral field stimulation- Your doctor will pass a gentle electric current through two electrodes placed on the painful areas of your body. Your pain will reduce when the electric impulses travel along the nerves of the painful area, due to the stimulation of the affected nerves and production of endorphins (natural pain killers), which block the pain signals in the brain. Acupuncture. Your therapist will insert thin needles into the body close to the nerves. This will stimulate the nerves and release endorphins. Plasma exchange and intravenous immune globulin may be performed to suppress the activity of the immune system. Managing the underlying disease condition such as diabetes. Maintaining a healthy diet and lifestyle to keep your nerves healthy. Eating a vitamin B-12 rich diet or including supplements. Preventing nerve damage by avoiding repetitive motions, restricted positions, toxic chemicals, and excessive alcohol. Peripheral neuropathy affects the peripheral nerves causing severe pain. Symptoms can be relieved with medications and various therapies that block the pain causing nerve signals to the brain. A healthy lifestyle and management of diabetes will help prevent peripheral neuropathy. Fibromyalgia is a complex chronic disorder characterized by widespread body pain that affects individuals physiologically, mentally and socially. Fibromyalgia is associated with pain over multiple tender points on the body including tenderness of the joints, muscles, tendons and other soft tissues. In addition, the patient may experience fatigue, sleep disturbances, depression, and anxiety. In severe cases, the condition can be extremely debilitating and may interfere with daily living activities. The cause of fibromyalgia is not known, but certain factors such as sleep disorders, physical or emotional trauma, viral infections, and abnormal pain perception can trigger fibromyalgia. Middle aged women are at an increased risk of developing the condition. Several other conditions such as chronic neck or back pain, chronic fatigue syndrome, Lyme disease, hypothyroidism, sleep and depressive disorders may mimic the symptoms of fibromyalgia and may coexist with it. The predominant symptom of fibromyalgia is generalized body pain. 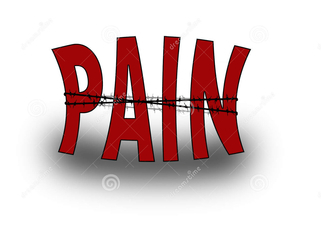 The intensity of pain varies from mild to severe. Tender points, localized painful areas in the neck, shoulders, back, hips, arms or legs, are present. Any touch or firm pressure over the tender points may induce the pain sensation. 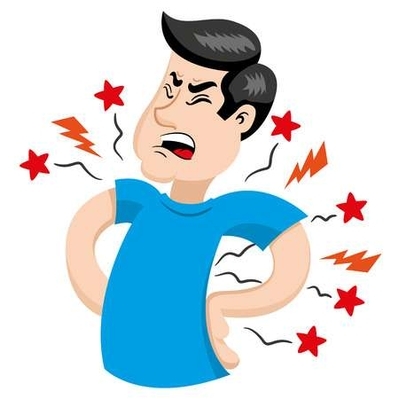 The pain may either be continuous or there may be a diurnal variation in pain, with an aggravation of the pain during the night. The pain may either be aching in nature or a shooting, burning pain that may increase with stress, anxiety, physical activity and cold or damp weather. Most people with fibromyalgia also experience fatigue, depression, and sleep disorders where they wake up with a feeling of tiredness despite long periods of sleep. People with fibromyalgia may also have other associated symptoms such as irritable bowel syndrome (IBS), headache, memory and concentration disorder, numbness and tingling sensation in the hands and feet, irregular heartbeat, and decreased ability to exercise. The treatment for fibromyalgia is aimed at resolution of the symptoms and helping the patient to cope with the symptoms and improve their quality of life. Treatment options for fibromyalgia include physical therapy, fitness and exercise program, and stress relief techniques such as light massage or other relaxation techniques. Swimming or exercising in a warm or heated pool may be beneficial to reduce pain, joint stiffness and relax the joints. If required medication may be prescribed to improve pain tolerance and avoid sleep disturbances. Several medications such as antidepressants, muscle relaxants, anticonvulsants (anti-seizure), and pain killers can be prescribed for initial pain management. These medications provide symptomatic relief from pain and also improve quality of sleep. Cognitive behavioral therapy (CBT) is an important aspect of fibromyalgia treatment and helps in modification of an individual’s response to pain. Support groups may be also helpful in managing fibromyalgia. Psychotherapy or counselling also may be useful to deal with issues related to fibromyalgia. A well-balanced diet, exercise program, abstinence from caffeine, following a regular sleep pattern, performing some relaxation techniques and being educated about the condition are all helpful to live a healthy life with fibromyalgia. Other therapies such as acupuncture therapy also may be applicable to relieve the symptoms. Abortive: These types of medications are taken during migraine attacks and are designed to stop it once it starts. Abortive medications can be taken by mouth or nasal spray or administered by self-injection. These medications work quickly and are effective in people who have nausea and vomiting with their migraine. The most commonly used abortive medications for migraine are triptants. These videos will help you understand what your physician looks for in performing a thorough physical exam for assessing and treating your pain. The following videos were developed by the VA as part of their DVCIPM Program to coordinate care for the veterans under their care.